Personal security is increasingly important, and in an emergency situation we’re the only ones who can protect ourselves and our loved ones. You have a right to carry arms, and American Firearms Academy will train you to handle circumstances from personal attacks to home defense. In our scheduled classes, you’ll learn about the best concealed handgun and how to carry it. Most importantly, you’ll spend time at the shooting range learning to shoot confidently and accurately. And, your satisfaction is guaranteed or your money back. 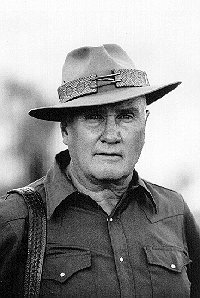 American Firearms Academy teaches the effective use of handguns based on the defensive techniques developed by Colonel Jeff Cooper. Colonel Cooper is widely known by the military, police departments and readers of Firearms magazine for promoting techniques such as using two hands on a gun. His profound influence forever changed the ability to use a handgun in a defensive situation. Tens of thousands of lives have been saved because of Colonel Cooper’s insights.